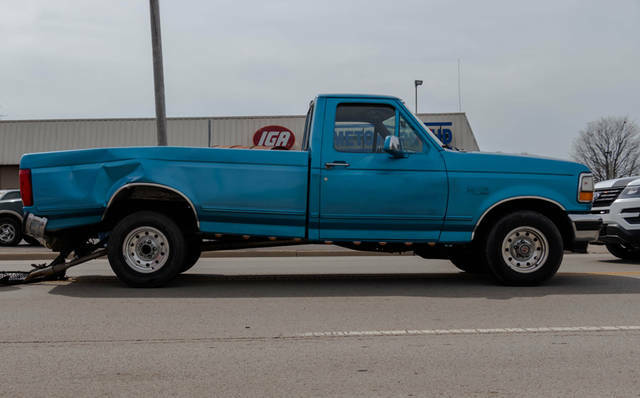 A blue Ford F-150 was traveling northbound on Sweitzer Street when it slowed to make a right-hand turn into a private lot and was hit from behind by a black Jeep Grand Cherokee. The male driver, and sole occupant of the Ford, was uninjured in the accident. The female driver of the Jeep, who admitted to officers of being distracted at the time of the accident, was treated on the scene by Greenville Township Rescue for minor injuries before refusing any further treatment and transport to a medical facility. 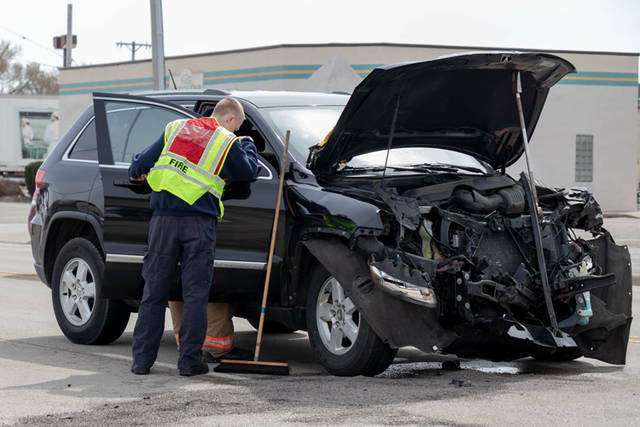 GREENVILLE – Traffic was backed up for a brief time on Thursday after a two-vehicle accident during rush hour in the 1100 block of Sweitzer Street. 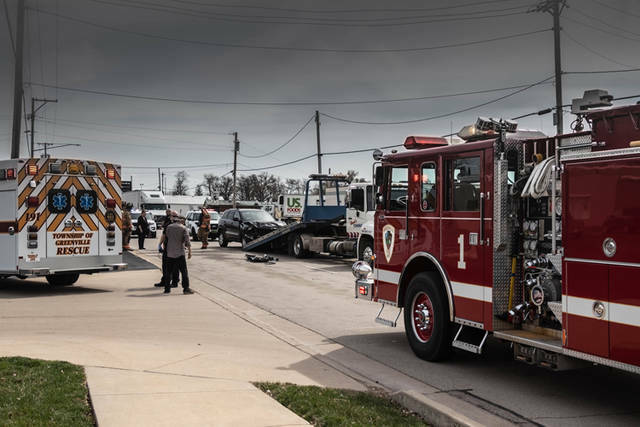 At approximately 3:10 p.m., emergency personnel from Greenville City Fire and Greenville Township Rescue along with officers from the Greenville Police Department were dispatched to the 1100 block of Sweitzer Street in regards to a two-vehicle accident with injuries. According to the Greenville Police Department, preliminary investigations into the accident revealed a blue Ford F-150 was traveling northbound on Sweitzer Street when it slowed to make a right-hand turn into a private lot and was hit from behind by a black Jeep Grand Cherokee. The female driver of the Jeep, who admitted to officers of being distracted at the time of the accident, was treated on the scene by Greenville Township Rescue for minor injuries before refusing any further treatment and transport to a medical facility. The male driver, and sole occupant of the Ford, was uninjured in the accident. The accident will remain under investigation by the Greenville Police Department. This entry was tagged crash, Greenville, Greenville City Fire Department, Greenville Fire Department, Greenville Police Department, Greenville Township Rescue. Bookmark the permalink.